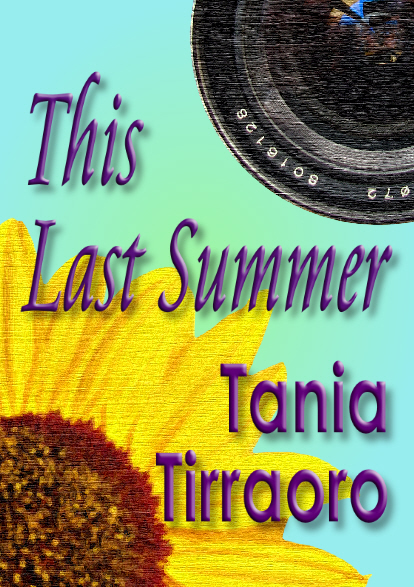 My Novel, This Last Summer, is now available on Amazon for Kindle. It's women's contemporary fiction, featuring a young TV reporter, Madeleine Chambers. Keeping an office romance secret in a newsroom full of the treacherous and the lecherous isn't easy and local TV reporter Maddie Chamber's life is about to get even more complicated. While out filming she stumbles across a family bombshell - her long lost mother, whose reappearance is set to wreak havoc on her father and autistic brother. Then an even more shocking discovery - her mother doesn't have long to live. Set in the south-east of England and the sunflower fields of France, This Last Summer has been described by readers as, "An extremely sensitive piece of writing. A joy to read." and "An intelligent, fascinating story. You skillfully captured my attention, and then my heart. Relatable characters. Artful writing"
or for those not in the UK, you can find it here on Amazon.com. There's a sample to download to whet you appetite. Do let me know what you think. If you don't own a kindle, you can download Kindle apps for free for PC, ipad, iphone and android.